This entry was posted on Saturday, April 24th, 2010 at 4:48 pm	and is filed under Main Dishes, Mexican, Mexican Everyday. You can follow any responses to this entry through the RSS 2.0 feed. You can leave a response, or trackback from your own site. I love Rick Bayless recipes. That man is a culinary genius. 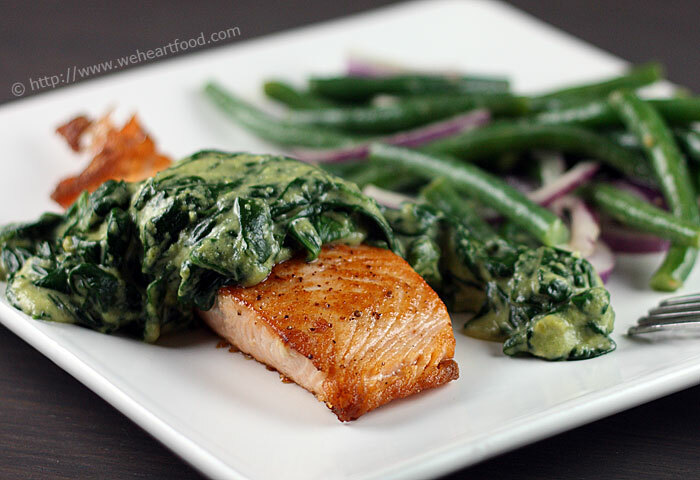 There is nothing better than pan-seared salmon. Well, except for ice cream. But it has to be really good ice cream. Love the pictures, the meal looks delicious! Looks excellent. I’ve been really into making recipes from Rick Bayless lately. I love his Authentic Mexican cookbook, but I don’t have Everyday Mexican. Sounds like something I need to get!